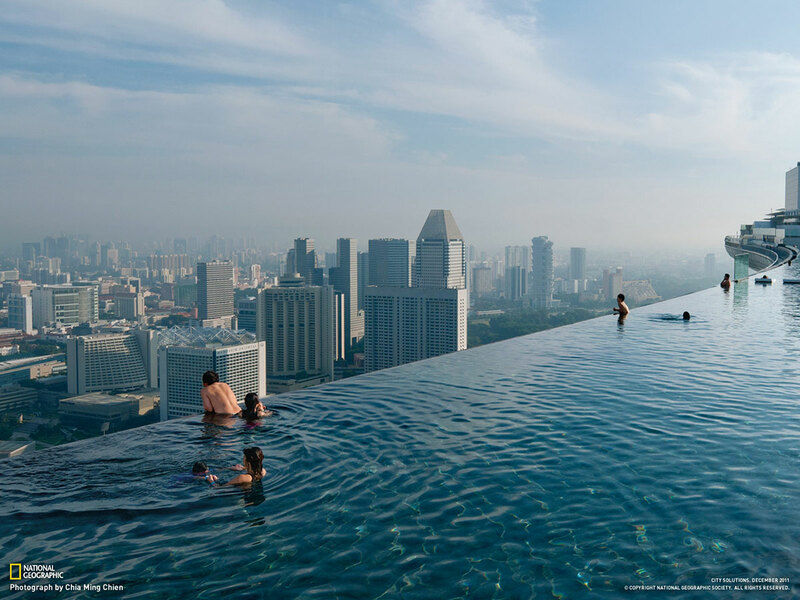 The highest pool in the world is found in Singapore on the 57th floor of the Marina Bay Sands Hotel. The view of all the big buildings gives you the impression that you are king of the world. 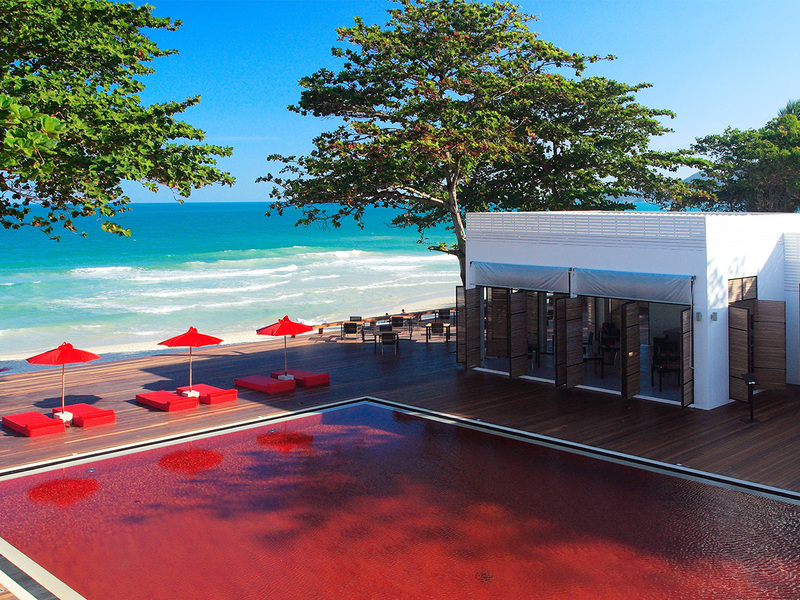 The Koh Samui hotel in Thailand is home, according to them, to the reddest pool in the world. Its color is due to the the red, yellow and orange tiles used to structure the pool. Just next to the sea, its the place of your dreams. 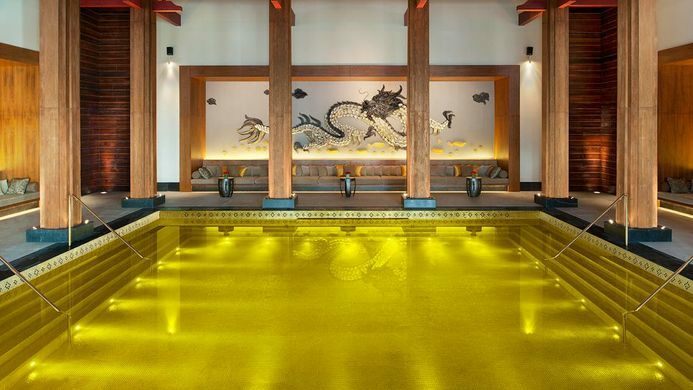 This will catch your eye, a golden pool with a temperature constantly between 26 and 28 degrees and salt water. Its found in the Santa Regis Lhasa Resort hotel complex in Tibet. 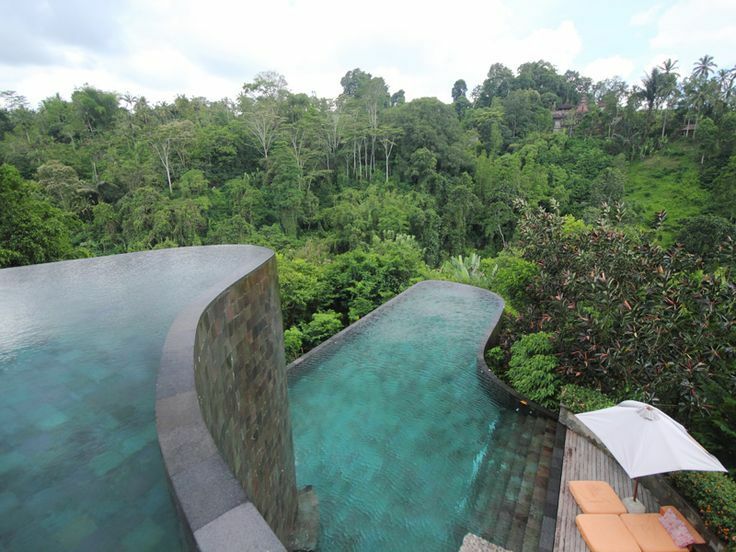 The pool on several levels : at the Hanging Gardens Ubud hotel in Bali : this pool offers an unobstructed view of the whole valley and the peaks. In complete peace, you can really experience a moment of serenity. The biggest indoor pool in the world is in Japan. It is called Seagaia Ocean Dome and ot is 300m long and 100m wide. A pool with fake beaches in the middle of the countryside, its certainly extraordinary. 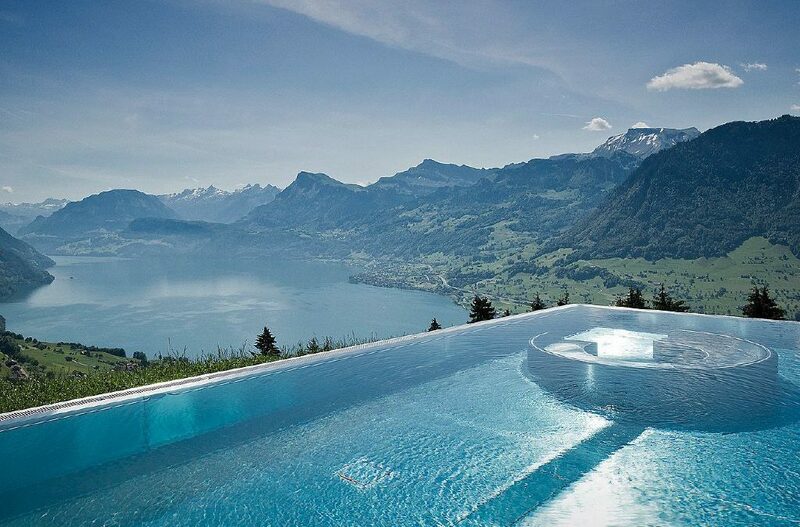 Found in Switzerland, the swimming pool at Villa Honnegg certainly has one of the best views you will find during a swim, since it is surrounded by the lake and the mountains and therefore you will be able to make the most of the serenity. 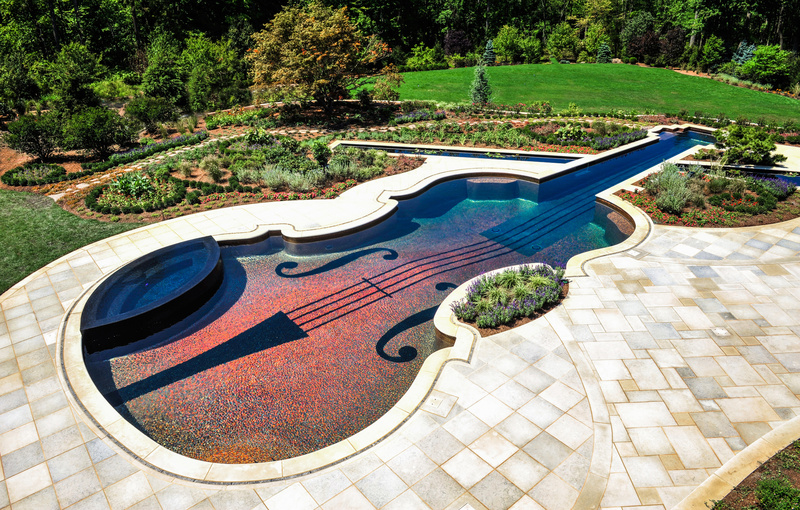 The “violin” pool : this pool is typical but original. The architects that came up with the idea managed to reconstruct the smallest of details of the violin, its bridge and its tailpiece. A hot-tub is found below. 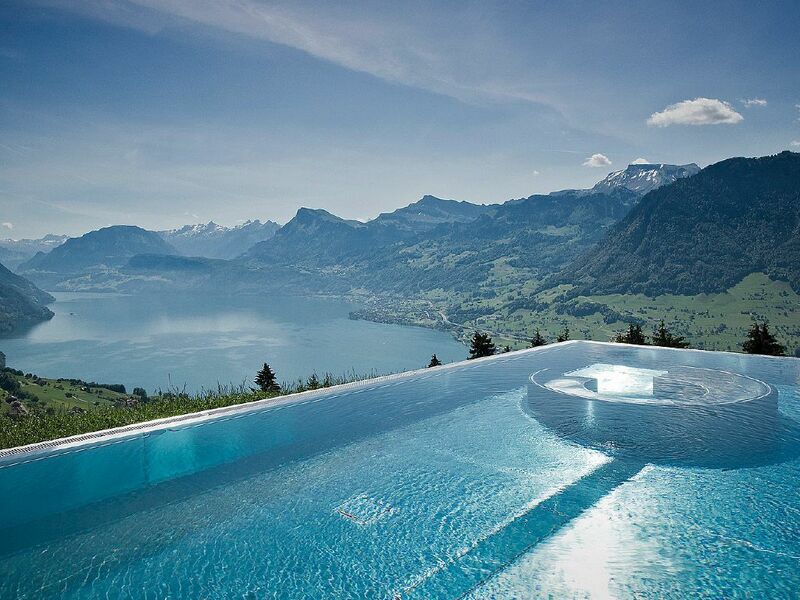 Here is the deepest pool in the world. It is found at the hotel Millepini in Italy. Its also a diving center with the name Deep Joy or Y-40. 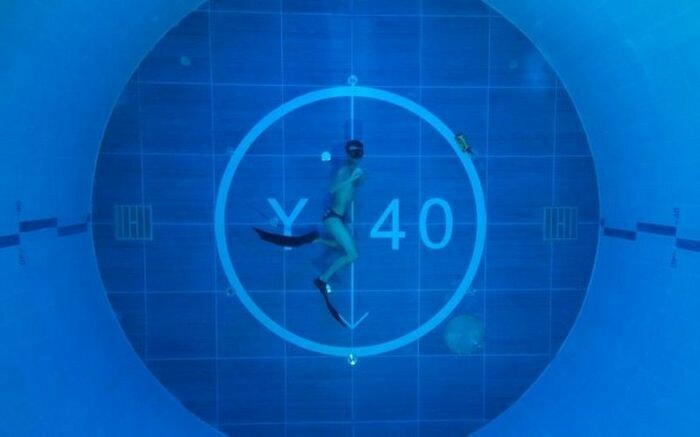 What is impressive is its depth of 42.15 meters. “The tank” pool in Las Vegas. It is found in the Golden Nugget hotel. 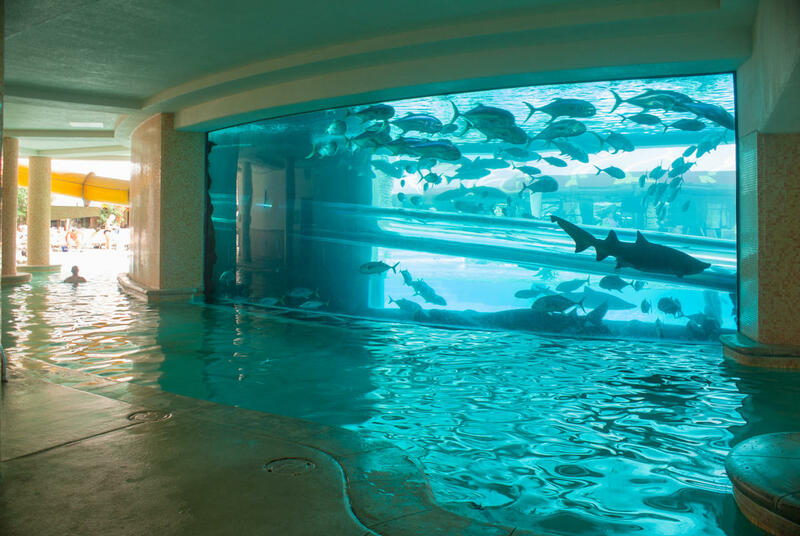 The peculiarity of this pool is that you can swim peacefully alongside different species of fish and sharks. Be reassured, you are separated from them by a big aquarium. 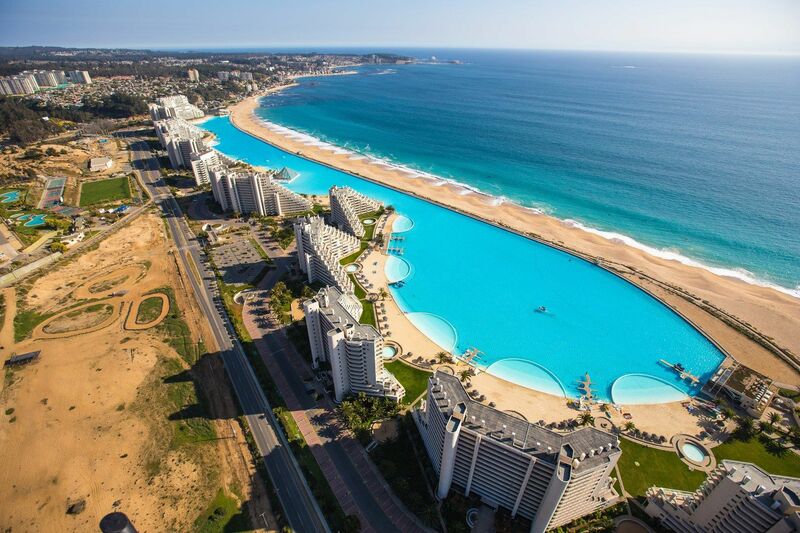 The longest pool in the world is found in Chile in South America, only a few meters away from the Pacific Ocean. 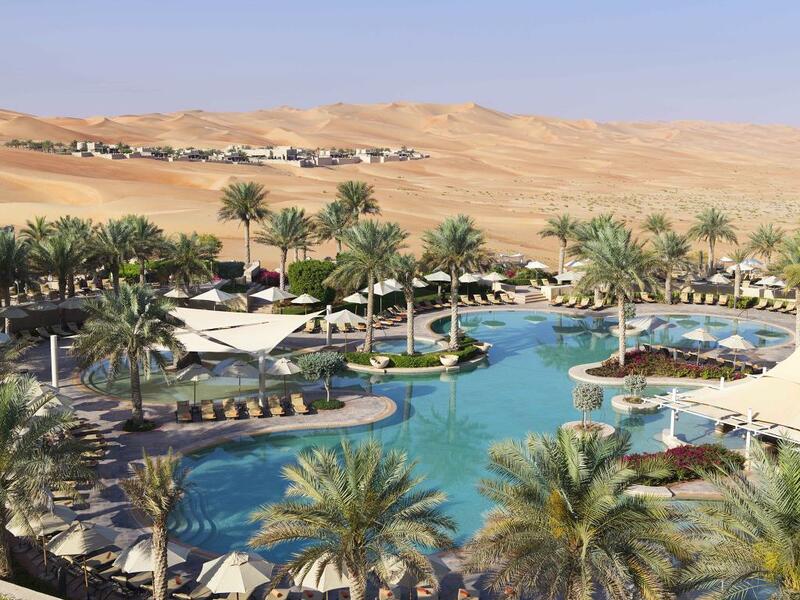 This lagoon stretches over 8 hectares and several activities take place on it. The pool belongs to a big hotel complex named San Alfonso Del Mar. Here is the Neptune pool : Just like Ancient Greece, it is surrounded by temples and marble statues. You can find it in the United States of America at the Hearst Castle hotel. I am ICO your connected device which measures, anticipates and adapts your advice and I let you know on your smartphone. It doesn’t matter what continent I am in, I will always be there to check the quality of your water. Even on holiday you can manage your pool from long distance with my easy to use application.